It was a great day in Michigan! Almost 70 degrees!!!! I drove our new tractor for the first time, filling the bucket with branches and debris by the old waterfall (post on that soon), we rode our bikes into town for ice cream, and the neighbor boys were playing football in the front yard. Woot woot! 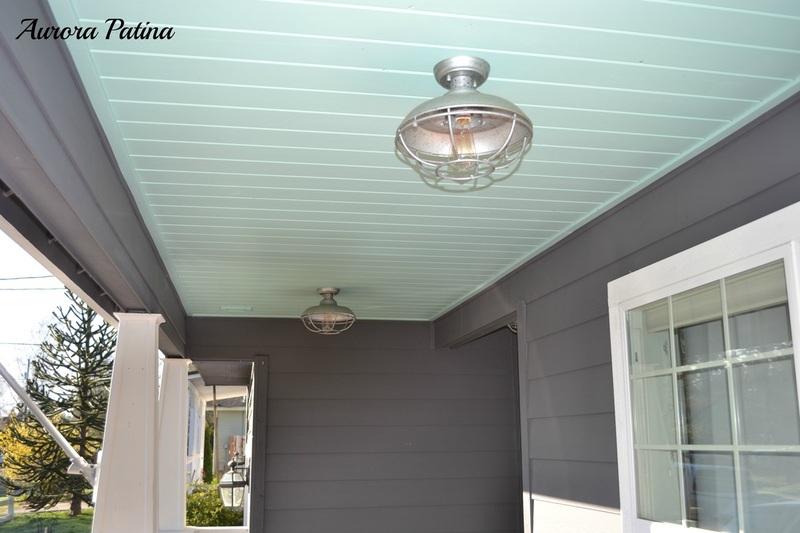 Aurora Patina's new porch ceiling and lights got me droolin'! Hi Kammy, thank you for Trash 2 Treasure today. My trash has started to become a treasure, much more work to be done. Happy St. Patrick's Day. Hey there! Literally found your page by accident and so glad we did! Love your trash to treasure idea! Ours is a year old - hope that's okay. Have a great day! I am cracking up over your comment on the cute dog chest! Lol! Thanks for the party Kammy! Thanks for the awesome party! I hope you have a fun St. Patty's Day. Thanks for featuring my dog chest. 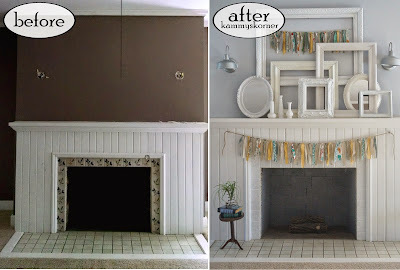 It is always fun to see what else gets featured and that mantel is great!